We are in the 15th year of the 21st century and much has been achieved in almost every sphere of human life. In 2003, the Human Genome Project, which proved beneficial for many fields — from molecular medicine to human evolution — was completed. Sports too have evolved and science and technology are transforming sports in ways that were hard to imagine before. Athletes now are faster and stronger than ever. For instance, in March 2006, when South African cricketers successfully chased the monumental total of 434 against Australia, the cricketing world was left awestruck. Two best cricketing nations of the world took it to the extreme and this proved that sports had become more about the right implementation of science and tech. From machine learning to 3D bio-mechanical scanning, coaches are deploying everything they have at their disposal to enhance performance of athletes. 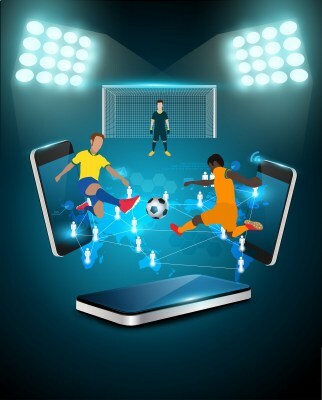 Here are top FIVE best examples of the use of technology in sports. Rapid advancements in microelectronics have made it possible to build sensors for sporting and clinical applications like cycling and inertial sensor is one such recent development. Known as accelerometers and rate gyroscopes, these sensors records minute changes in inertia in the linear as well as radial directions. They are gaining rapid popularity thanks to mass-market penetration which has not only increased their availability but has also decreased the cost and their size. Similarly, the use of GPS sensors in sports like rugby, football, and soccer has achieved mainstream success as it allows coaches to determine the exact location of the players at any point during a match. Australia based Catapult Sports is known for developing innovative wearable athlete tracking technology. It can measure every physical indicator of an athlete’s movement – from distance to speed, intensity to exertion. Many sports and teams around the world have adopted in-game video analysis and video refereeing for on-the-spot analysis. This has not only increased the fairness of the game but has also allowed coaches and analysts to watch performance and design training regimes of athletes for better performance. SchuttVision helmet is the first of its kind in the sporting world. Its high-definition camera is capable of capturing imagery on an SD Card or transmitting a live streaming signal to the sidelines for processing and review. The fitness monitor market encircles a wide range of products, including fitness and heart-rate monitors, sports and running computers, outdoor-pursuit computers, cycle computers, and pedometers. There has been a surge of interest in the sports monitoring space over the last two years. According to IHS Technology, revenue for sports, fitness and activity monitors are going to increase by nearly $1 billion by 2019. These wearables are instrumental in tracking information from gym sessions, and training by helping coaches and physiotherapists to fine tune training regimes and optimize recovery and rest times. Canada based Heddoko provides smart compression shirts and pants that track the movement of the body joints using textile embedded sensors. The smart garments will teach the athletes how to improve their techniques and avoid injury by capturing the full body movements, modeling it in 3D on their smart devices and giving them live feedback. Data analytics are fundamental to the athlete and the coach and collected data can range from videos to complex measurements. Motor racing is one such area where a number of measurements and sensors can be deployed for capturing driver physiology and car performance. The British Olympic team had relied heavily on data analysts and had employed 30 full-time performance analysts during the 2012 Olympic and Paralympic games. Right from selection to tactics to the type of equipment used by teams, every decision was based on the collected data. Optical motion capture system has been used by coaches to analyze the biomechanics of the sportsperson. Used notably by track and field athletes and golfers, it creates 17,000 columns of data in milliseconds. This is later used to analyze the behavior of each joint to recommend adjustments that reduce joint stress. Three-dimensional motion capture technology — like the Xbox Kinect systems, allows an expert to see what’s happening with an athlete’s body through bio-metric feedback.